Good news for those of you who have a computer without Hardware Virtualization, Microsoft had dropped the requirement so you can now run XP Mode on your machine. Here we take a look at how to install it and getting working on your PC. 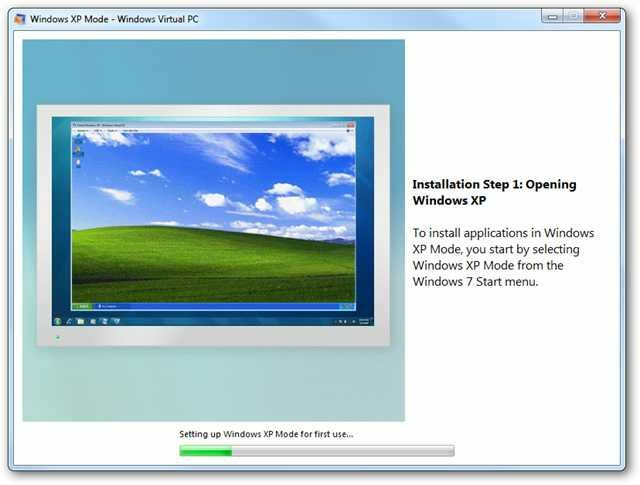 Microsoft has dropped the requirement that your CPU supports Hardware Virtualization for XP Mode in Windows 7. 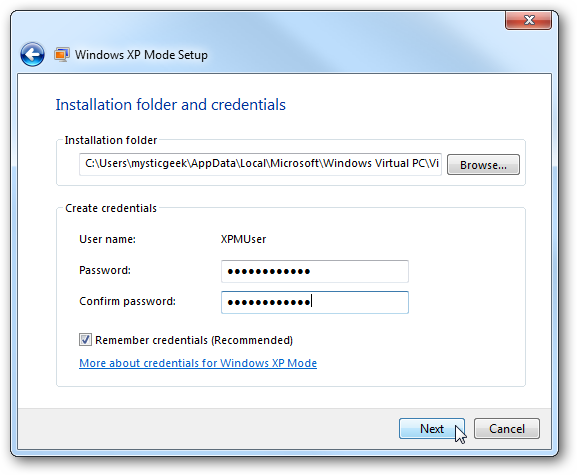 Before this requirement was dropped, we showed you how to use SecureAble to find out if your machine would run XP Mode. If it couldn’t, you might have gotten lucky with turning Hardware Virtualization on in your BIOS, or getting an update that would enable it. If not, you were out of luck or would need a different machine. 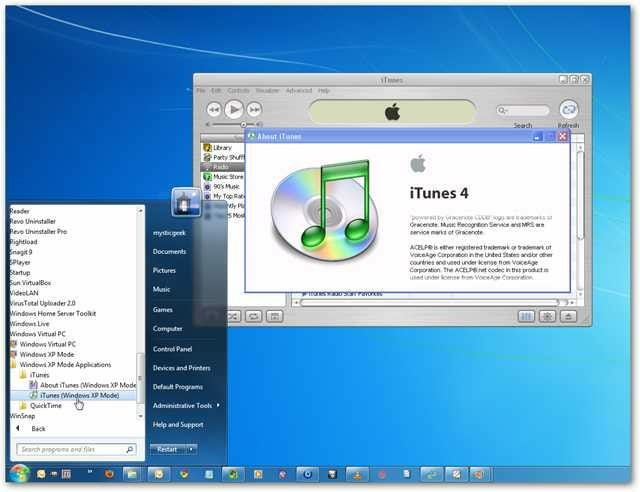 Note: Although you no longer need Hardware Virtualization, you still need Professional, Enterprise, or Ultimate version of Windows 7. 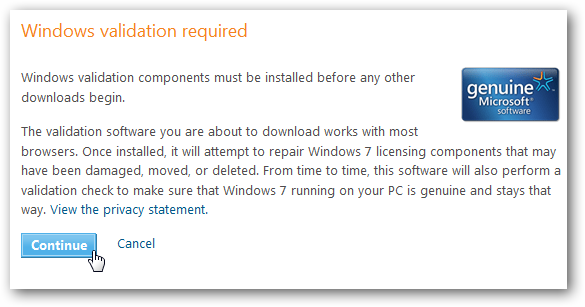 For this article we’re installing it on a Dell machine that doesn’t support Hardware Virtualization on Windows 7 Ultimate 64-bit version. 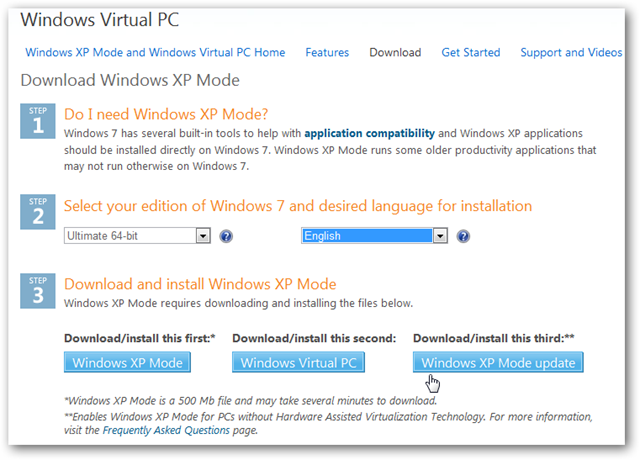 The first thing you’ll want to do is go to the XP Mode website and select your edition of Windows 7 and language. Then there are three downloads you’ll need to get from the page. 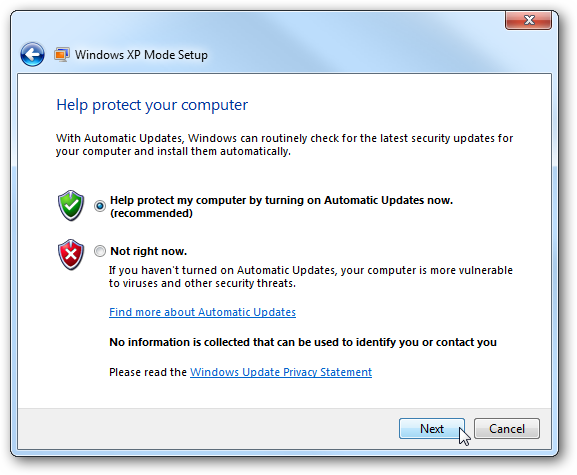 Windows XP Mode, Windows Virtual PC, and the Windows XP Mode Update (All Links Below). 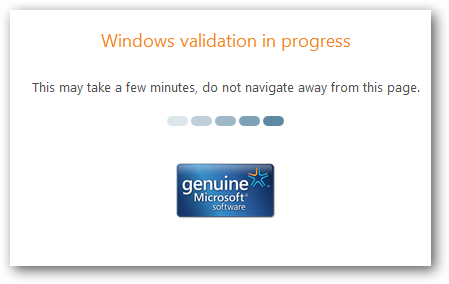 Windows genuine validation is required before you can download the XP Mode files. To make the validation process easier you might want to use IE when downloading these files and validating your version of Windows. 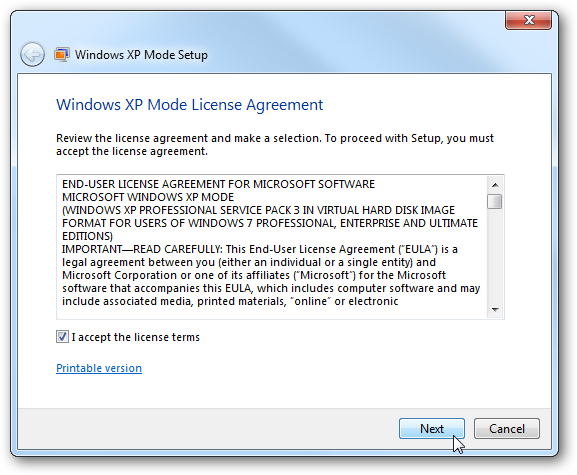 After validation is successful the first thing to download and install is XP Mode, which is easy following the wizard and accepting the defaults. 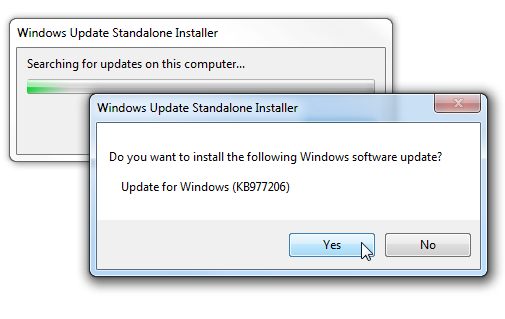 The second step is to install KB958559 which is Windows Virtual PC. After it’s installed, a reboot is required. 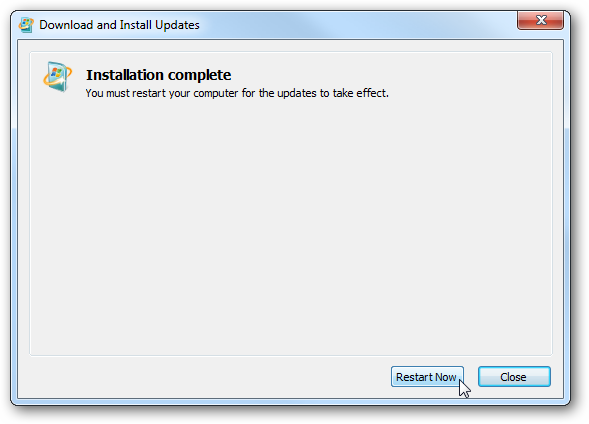 After you’ve come back from the restart, you’ll need to install KB977206 which is the Windows XP Mode Update. After that’s installed, yet another restart of your system is required. 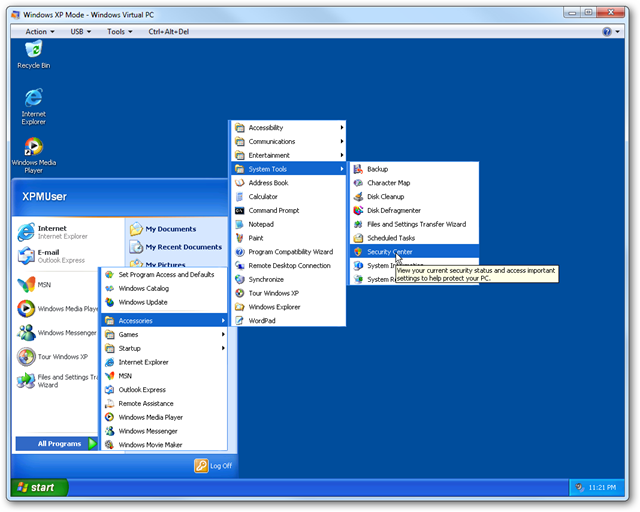 After the update is configured and you return from the second reboot, you’ll find XP Mode in the Start menu under the Windows Virtual PC folder. 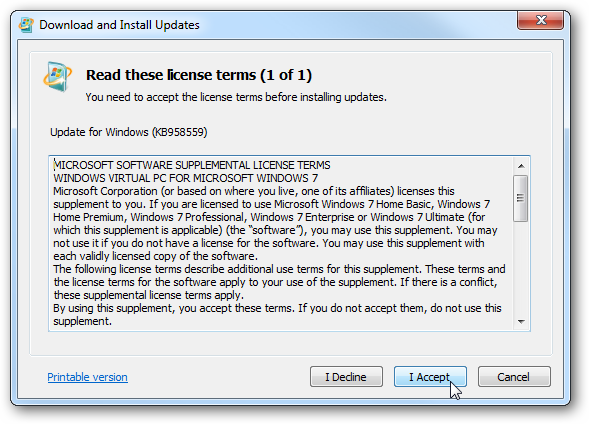 When it launches accept the license agreement and click Next. Then you’re given a message saying setup will share the hardware on your computer, then click Start Setup. 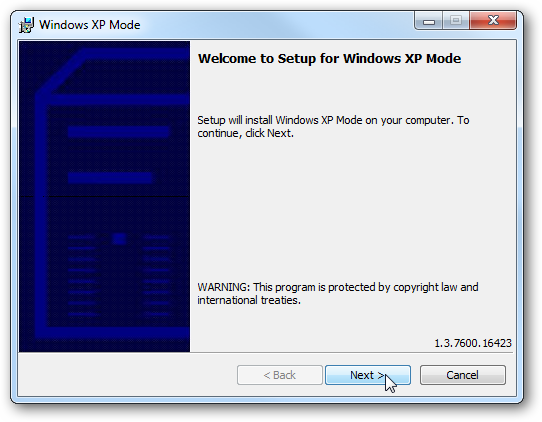 While setup completes, you’re shown a display of what XP Mode does and how to use it. 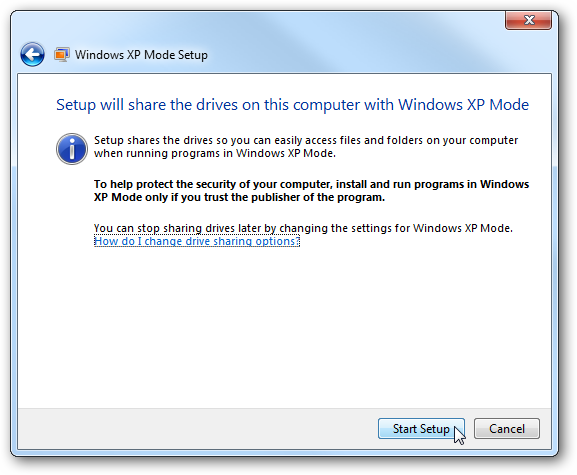 XP Mode launches and you can now begin using it to run older applications that are not compatible with Windows 7. This is a welcome news for many who want the ability to use XP Mode but didn’t have the proper hardware to do it. The bad news is users of Home versions of Windows still don’t get to enjoy the XP Mode feature officially. 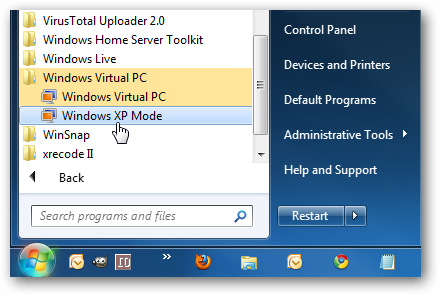 However, we have an article that shows a great workaround – Create an XP Mode for Windows 7 Home Versions & Vista.